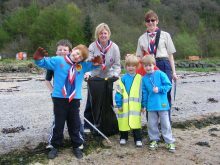 Run a school holiday club or a group of Brownies, Guides, Scouts, Boys Brigade? This page is for you! Contact us to discuss your requirements and we’ll do our best to point accommodate you or point you in the right direction. Looking for something a little more active? Try our Outdoor Activities section.